During a recent visit to Australia, Maria Luz Marín of Viña Casa Marín sat down with me in Melbourne for a chat before a tasting of her wines hosted by South American wine specialists Untapped Fine Wines. Looking back to the start of Maria Luz’s career I was interested to learn about the inspiration that informed the style of wine she has subsequently become famous for. “I had always wanted to make wines that were not necessarily for the market but that communicated a clear sense of place”. While working in the wine industry and before establishing Casa Marín, Maria Luz could see that although Chile produced good wines, they lacked diversity. This formed the motivation for her to create an alternate version of Chilean wine. Her first experience of showing her wines in the UK embodied the challenges of taking on the international market with a Chilean wine positioned at the top end of the quality scale. 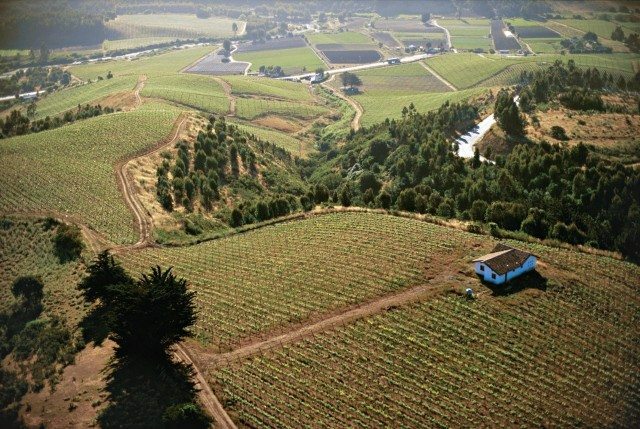 Although she characterises the U.K. market as being very open to changing the perception of quality with respect to Chilean wines, it was an altogether different reaction when it came to pricing. Maria Luz set the scene for the first trade release in London, detailing a mixture of nerves and anticipation as a well-known journalist approached her table and began tasting her wines. His surprise at the quality of the wines was evident and spurred on by this most positive of starts Maria Luz responded to various questions around representation and pricing. It was at this point that the journalist closed his book and left. Stunned for a moment or two she hurried after him to ask why he had left so abruptly, to which he responded, “you will never, ever sell a Chilean white wine at that price point”. And so ended her first experience of selling her wine to the international market. Fast-forward and the years spent investing in the UK, European and US markets have paid off, with attention now turning to the growing markets in Asia. Viña Casa Marín is firmly established as an iconic Chilean producer and priced accordingly – there must be a certain satisfaction in proving early doubters wrong. Located just 4 km from the sea, Viña Casa Marín is set amongst the village of Lo Abarca and on a most inhospitable series of steep hills. The location presents a variety of challenges for the vineyard while at the same time offering ideal growing conditions for the aromatic wines the estate is famous for. With this in mind, I asked Maria Luz if she has any plans to produce a sparkling wine given the cool climatic conditions under which the grapes grow. Instantly her eyes lit up and a smile spread across her face. As it turns out she has been working with her son Felipe on such a project. I had read that Maria Luz was not a fan of Chardonnay so it perhaps comes as no surprise that the first sparkling wine to be produced from Casa Marín will be a sparkling Riesling. Harvest is due to begin in the coming weeks and a special block on the estate has been identified for early picking to ensure the all-important acidity is retained. The wine will be produced using the traditional method with a view to release in 2018. The release will be to both domestic and international markets. 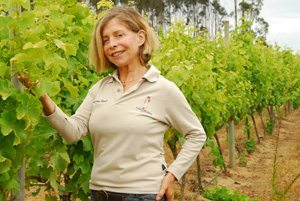 As the first, and currently the only female owner of a private wine estate in Chile, Maria Luz occupies a special position in the industry there. I asked her if she finds herself playing the role of mentor to young women coming up in the industry, and if that is a role she is comfortable with. There is a palpable sense of pride as she discussed the role of mentor, telling me that approximately 40% of winemakers in Chile are female, something Maria Luz feels she has contributed to in one way or another and clearly she is not alone in thinking this. Late last year, her role in the industry was recognised when she received the 2015 Premio al Merito Vitivinicola for services to the wine industry of Chile – an award she is honoured to have received, particularly as recipients are determined by industry peers. It is not often one encounters a person who embodies such an appealing mix of effortless charm and wit with steely determination and self-assurance. After meeting Maria Luz it is easy to understand how this powerhouse of a woman has been so successful, but chat with her for just a few minutes and it is evident that success was not won without a clear vision and unwavering tenacity in pursuing that vision.